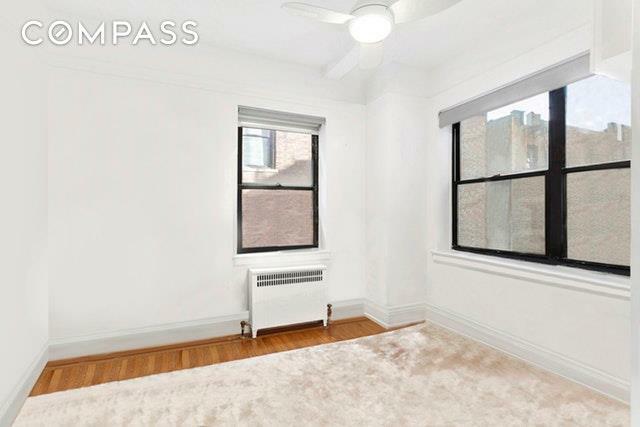 Live just one block from Central Park in this exquisite, pre-war 2 bedroom with LOW maintenance.4B is one of those apartments that truly feels like a home. Its grand living room is nearly 18 feet wide and exudes such charm with its arched entry, mosaic-tiled decorative fireplace, beautiful built-ins and beamed ceilings. Truly a wonderful space for entertaining. A gracious dining area is situated right off of the living room and leads directly to the kitchen. The seamless layout makes those sit-down meals a cinch. 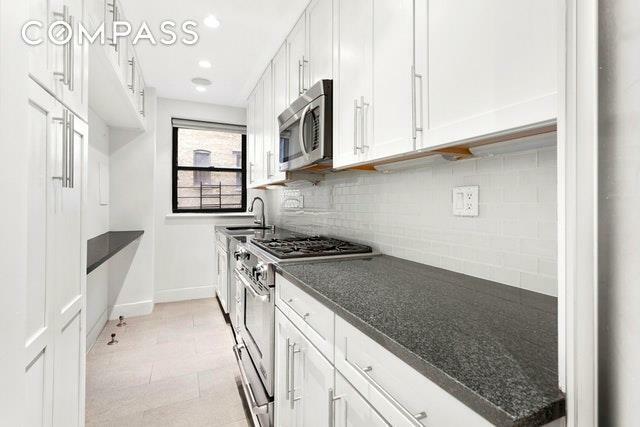 The gorgeous windowed kitchen boasts plentiful crisp white cabinetry, expansive countertops, glass tile backsplash, and stainless steel appliances that include Sub-Zero refrigerator and Bosch dishwasher. An advantageous split bedroom floor plan allows for that nice bit of extra privacy. Both bedrooms are pin-drop quiet with double exposures. The master bedroom is giant and has its very own walk-in closet. An elegant marble bath completes the picture here with deep soaking tub and rain shower. Hardwood floors throughout along with excellent storage. Washer dryer allowed. 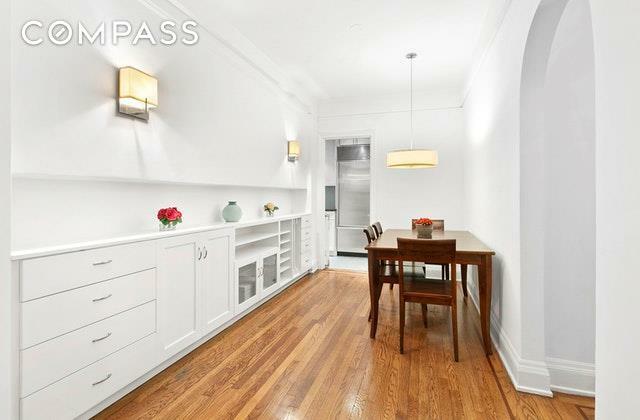 49 E. 96th Street is a fantastic, full-service building located in prime Carnegie Hill. The building is just ONE block from Central Park. 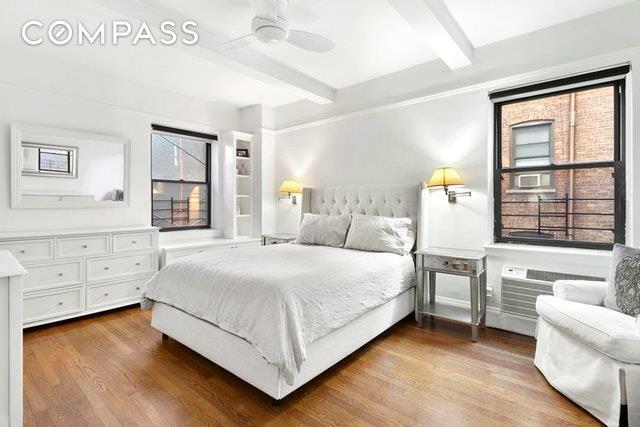 Amenities include: 24 hour doorman, live-in super, laundry room, bike storage, small workout room and private storage. Pets are allowed and washer/dryers are permitted with Board approval. 60% financing. 2% buyer flip tax. Listing courtesy of Brad Malow of Compass.